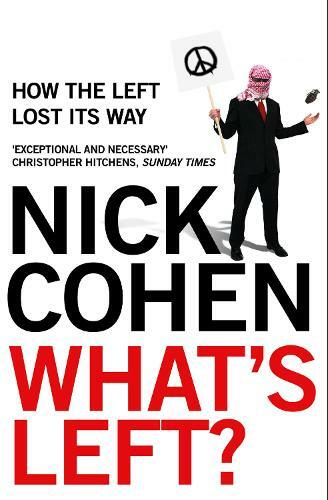 From the much-loved, witty and excoriating voice of journalist Nick Cohen, a powerful and irreverent dissection of the agonies, idiocies and compromises of mainstream liberal thought. Today he's no less confused. When he looks around him, in the aftermath of the invasion of Iraq, he sees a community of Left-leaning liberals standing on their heads. Why is it that apologies for a militant Islam that stands for everything the liberal-Left is against come from a section of the Left? After the American and British wars in Bosnia and Kosovo against Slobodan Milosevic's ethnic cleansers, why were men and women of the Left denying the existence of Serb concentration camps? Why is Palestine a cause for the liberal-Left, but not, for instance, China, the Sudan, Zimbabwe or North Korea? Why can't those who say they support the Palestinian cause tell you what type of Palestine they would like to see? After the 9/11 attacks on New York and Washington why were you as likely to read that a sinister conspiracy of Jews controlled American or British foreign policy in a liberal literary journal as in a neo-Nazi rag? It's easy to know what the Left is fighting against - the evils of Bush and corporations - but what and, more to the point, who are they fighting for? As he tours the follies of the Left, Nick Cohen asks us to reconsider what it means to be liberal in this confused and topsy-turvy time. With the angry satire of Swift, he reclaims the values of democracy and solidarity that united the movement against fascism, and asks: What's Left?